This review for The Customer Rules by Lee Cockerell is part of a Magical Blogorail sponsored campaign. Copies of the book were received free of charge for a review. Opinions are those of the reviewer and do not represent those of the author. Your opinion may vary. I recently read The Customer Rules by Lee Cockerell. I found The Customer Rules to be a great book and I am going to encourage my husband (who is in management) to read it and share it with his staff. Lee Cockerell is the former Executive Vice President of operations for the Walt Disney World Resort. 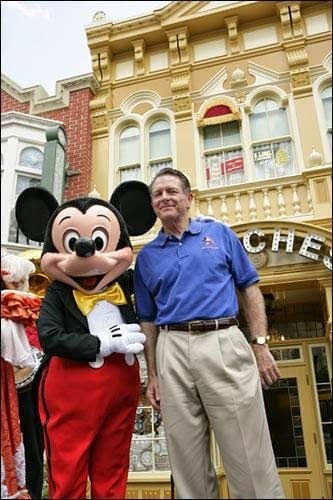 He led a team of 40,000 Cast Members and was responsible for the operations of 20 resort hotels, 4 theme parks, 2 water parks and shopping and entertainment and the ESPN sports and recreation complex! Can you imagine the responsibility of that job?! 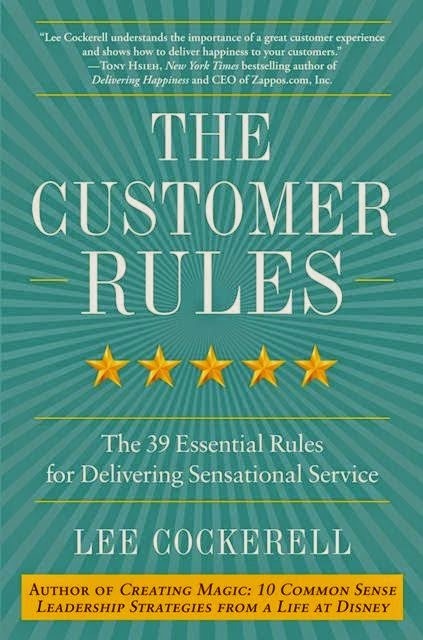 In the book The Customer Rules, Lee Cockerell describes 39 rules for delivering excellent customer service. These rules can be applied to everyday situations, jobs and really any human interactions. My personal favorite rule is rule #5 "What Would Mom Do?" in which Lee Cockerell describes examples of excellent customer service. Lee writes "Never ask for something without saying please", "Never tell a lie", "If you can't say something nice, don't say anything". Lee goes on to describe that employees should always consider what their own Mother would do when treating a customer or a specific situation. Another rule that I really wish that everyone would follow is rule #25 "Treat Every Customer Like A Regular". I absolutely love when I visit a restaurant and notice the waitstaff talking with customers and asking how they're family is doing, how a surgery went, etc. This is great example of excellent customer service, the customers feel like the waitstaff really cares about them. It is great to feel welcome in a new store and be greeted by an employee. I visit new stores on occasion and if the employee on the floor does not greet me or ask if I need any help then I tend to feel unwanted and I will just leave the store. It is the worst feeling to feel ignored or unwelcome in a new place. I love going to my favorite coffee shop and having the barista recognize me, greet me and then remember the usual coffee that I order! This is a prime example of rule #25. I highly recommend this book and would encourage you to pick a copy. Enter below to win an autographed sign copy from Lee Cockerell. I wish that everyone in customer service would read this wonderful book and just think, if they each followed even half of these great customer services "rules" how great everyday service would be! This review of The Customer Rules by Lee Cockerell is part of a Magical Blogorail sponsored campaign. Former Executive Vice President of Operations at Walt Disney World Resort, Lee Cockerell, shares his 39 Essential Rules for Delivering Sensational Service in his latest book The Customer Rules. And if you want more from Lee Cockerell check out his first book Creating The Magic: 10 Common Sense Leadership Strategies from a Life at Disney. If you would like a signed copy of Lee Cockerell's The Customer Rules please enter to win our giveaway below. We will be giving away two signed copies. Please click here if the entry widget is not shown below.